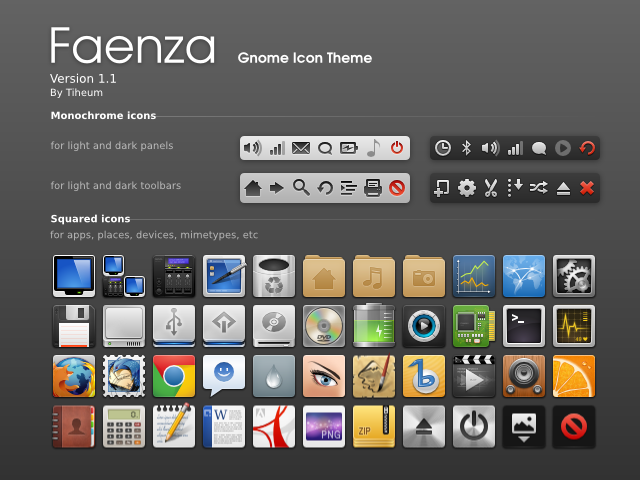 The popular icon theme Faenza has reached version 1.1. Many things have improved with this version and Oneiric is also supported. 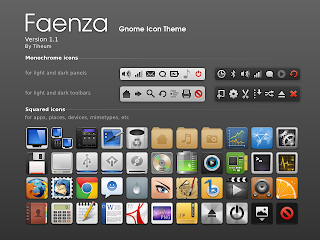 Faenza icons now come in two more flavors, Faenza-Ambiance and Faenza-Radiance. Once completed, Lucid to Natty users can simply right click the desktop > Change Desktop Background > Themes > Customize > Icons and choose any flavor of Faenza icon theme. Extract the tar.gz archive and run './install' from within the extracted directory.